DENMARK: Dong Energy has signed a €240-million loan deal with the Nordic Investment Bank (NIB) to help finance the 400MW Anholt offshore wind farm. 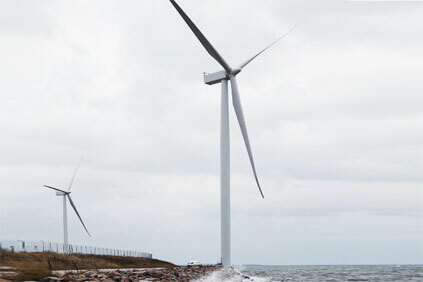 Anholt is set to become Denmark's largest offshore development and will use the Siemens 3.6MW turbines with a 120-metre rotor diameter. In April, Dong Energy signed a DKK 6 billion (€804 million) deal with two pension funds for a 50% share of the upcoming the project. Speaking to Windpower Monthly about the deal, Dong CEO Anders Eldrup said the funds would receive a return on investment fairly quickly as there is no debt involved in the project financing. According to Dong, the NIB loan is with Dong's parent company rather than directly for the project. NIB's loan has a maturity of ten years. A Dong spokeswoman said: "The Anholt project is financed through internally generated cash flow supplemented by loans from the parent company Dong Energy (including the loan from NIB). This financing principle is prevalent for close to all our projects."